Lok Sabha polls: Chandrababu Naidu said the protests against PM Modi's visit was proof of his "bad rule". 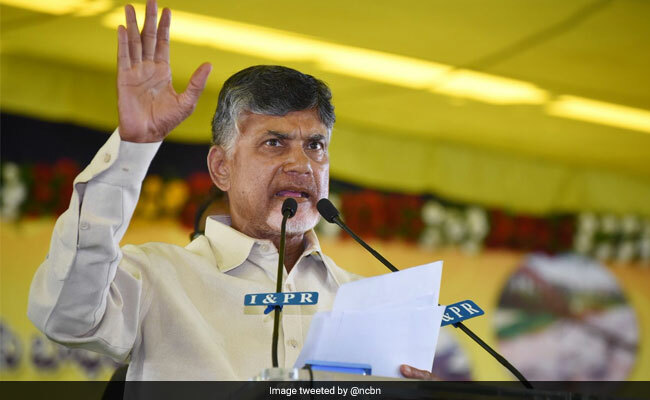 Andhra Pradesh Chief Minister Chandrababu Naidu gave a point-by-point rebuttal to Prime Minister Narendra Modi's allegations levelled against him during a rally in the southern state on Sunday. On his first visit to Andhra Pradesh after Chandrababu Naidu's party quit the alliance with BJP, PM Modi had accused Mr Naidu of betraying everybody from political allies to members of his own family. Hitting out at the Prime Minister, Mr Naidu alleged that PM Modi sidelined senior leaders like Atal Bihari Vajpayee, LK Advani and Murli Manohar Joshi. "You were speaking of backstabbing? (LK) Advani's tears, Murali Manohar Joshi's face explain how you stabbed them. All secular and democratic persons know how Vajpayee's soul is lamenting. Entire nation saw the horse-trading deals in Karnataka, Goa and Manipur," Mr Naidu said in his letter to PM Modi. After the BJP swept to power in 2014, Mr Advani, along with party veterans Yashwant Sinha and Murli Manohar Joshi, were named its "margdarshak mandal", meaning the guiding lights. Mr Naidu said that the protests against PM Modi's visit was proof of his "bad rule". "A person holding the chair of Prime Minister should possess Raja Dharma. No Prime Minister in the past had faced protests like you. Wherever you go, you faced protests. That is the evidence for your bad rule," he said. He also slammed the Prime Minister for not doing enough for the state. "You called Guntur as Oxford of AP, but what is your contribution in that? Have you ever self-criticised how much you gave to AP for academic institutes in these 5 years? The state government has allotted lands worth Rs 12,000 crore and built compound walls with Rs 130 crore; you gave Rs 700 crore only. With 6 per cent of funds allotted can we construct Oxfords? Are you healing our injuries, or rubbing salt on them," he said.